American Central Intelligence Agency (CIA) has killed another 66 people inside Pakistan during the month of August 2012 making it the deadliest month of the year. The CIA carried out seven drone attacks during the month. This is the highest number of drone attacks in a single month during 2012. Most of the victims were unknown people. However, a few prominent militants were also killed during the month. Among them the most significant death, if confirmed will be that of Haqqani Network’s operational commander Badruddin Haqqani. The Haqqani network has denied his death so far but Afghan intelligence sources have confirmed that he has died in a drone attack on August 21. His death would be a blow to Haqqani network’s operations across the border inside Afghanistan. Another significant death was that of a veteran trainer of militants Commander Engineer Ahsan Aziz who was killed along with his wife and ten other militants in Shoi Dar area of North Waziristan on the eve of Eid-ul-Fitr in the area. According to CMC sources, he and his wife were just to break their last fast of Ramadan when a pilotless drone fired missile on their residence. The couple was carrying dates in their hands when their dead bodies were digged out. Commander Ahsan Aziz’s death has pulled curtain from another bitter reality that Kashmiri militant organization Hizbul Mujahedeen has also faced defections of some of its higher-ranking commanders who chose to fight against US against the policy of their organization. Ahsan Aziz was one of the main trainers of Hizbul Mujahedeen but when US invaded Afghanistan, he left Hizbul Mujahedeen and joined Arabs and Afghan fighters in Afghanistan. He was assigned the task of training the militants as he had a vast experience of doing this job with Hizbul Mujahedeen. Although, he had left Hizbul Mujahideen but Hizb and Jamat-e-Islami at the highest level mourned his death. His funeral prayer in absentia was observed in Islamabad and Azad Kashmir by Jamat-e-Islami leadership, which demonstrates that despite apparent defection he was in contact with his parent organization. Another possible reason for Hizbul Mujahedeen and Jamat-e-Islami arranging his funeral prayer in absentia can be his wife who was the daughter of a prominent Jamat-e-Isalmi leader Professor Alifuddeen Turabi. The month of August was most embarrassing one for government of Pakistan. On August 23, the US Embassy in Islamabad was démarched on drone strikes in North Waziristan on the eve of Eid-ul-Fitr. According to the Ministry Of Foreign Affair’s statement, “A senior US diplomat was called to the Ministry of Foreign Affairs and informed that the drone strikes were unlawful, against international law and a violation of Pakistan’s sovereignty. It was emphatically stated that such attacks were unacceptable.” Instead of State Department, the CIA responded to this protest with three drone attacks on very next day (August 24) which left Pakistani government red faced. It is now a well-known fact that the CIA does not care about US State Department’s diplomatic complexities and delicacies. In American war-cabinet, Secretary of States Hillary Clinton has least say, if any. US is spending millions of dollars for public diplomacy through USAID to win hearts and minds of Pakistani people but the CIA seems unconcerned with these efforts and carryout drone attacks without considering diplomatic, political and social consequences. These days USAID is promoting its social work in Pakistan through newspaper and TV advertisements. This happens quite often that after or before a USAID’s advertisement, Pakistani TV channels air breaking news of drone attacks. One can easily analyze that how Pakistani public would believe in these ads when their fellow citizens are being slaughtered in Waziristan. State Department and USAID officials may have felt the heat of drone attacks on the eve of this Eid-ul-Fitre in Pakistan when all of sudden the CIA started drone attacks in North Waziristan just one day before the Eid was going to be observed in the area. 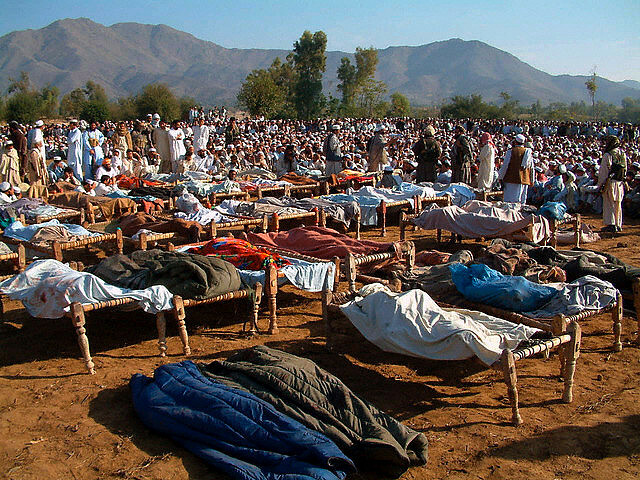 It did not stop on the Eid day and the following days, making this Eid most miserable one for the residence of the North Waziristan. Government of Pakistan publically condemned drone attacks but has done no serious efforts to stop these strikes. The seriousness of the government can be gauged from the fact that it has put in place no mechanism to record the casualties caused by drone attacks. The government has not introduced any scheme to compensate relatives of non-combatant drone victims, which are in hundreds. It is worth noting that frequency of drone attacks in Pakistan has been reduced considerably during the current year. During the first eight months of the year 2010 and 2011, the CIA had carried out 57 and 59 drone strikes respectively however, during 2012, this number is dropped to 37. A 36 percent reduction in number of drone attacks can largely be attributed to public backlash in Pakistan. The point of concern for Pakistani security institutions is that US is not giving any hints whether these strikes will continue after US withdrawal from Afghanistan or not. In such a situation, Pakistani government and security establishment will remain under constant public pressure, which can affect the domestic political settings of the country at any time.